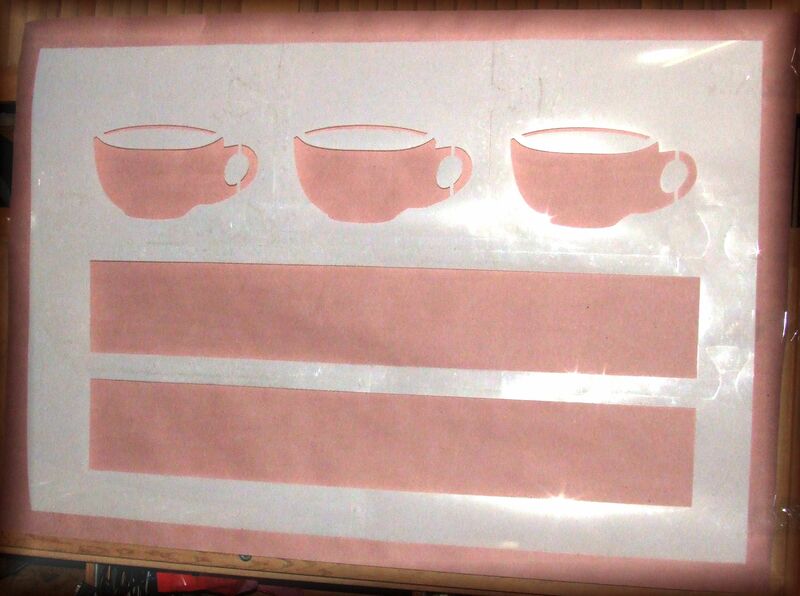 Large coffee cup stencil used to decorate a coffee shop store front. Due to the large size of the stencil, smaller pieces are puzzled together to form the large stencil. The material used is 7.5mil mylar which is reusable.